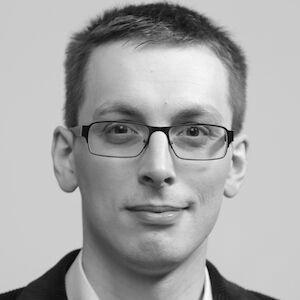 Piotr is an independent data science consultant, with Ph.D. in quantum physics from ICFO, Barcelona. He is focused on deep learning and interactive data visualizations; he believes in side projects, active in gifted education. Piotr created the Quantum Game with Photons (real quantum mechanics in your browser! ), shares his knowledge on https://p.migdal.pl, runs Data Science PL Facebook group and co-founded In Browser AI (@InBrowserAI). Deep learning (artificial neural networks) is progressing at a rapid pace. In the last few years, image recognition performance went from not useful to on a par with human level. Lately, AlphaGo Zero not only beat human masters, but was able to do so entirely learning by playing with itself. And it keeps going; something that was an original discovery 6 months ago may have become an industry baseline. Moreover, it is relatively easy to start using deep learning - using Python libraries such as Keras or PyTorch. And recently, we can move one step further - use Deep Learning in your browser, without installing anything (but with some GPU support) - using TensorFlow.js. everywhere where privacy matters and we prefer not sending data to the cloud (e.g. LSTM for code autocompletion in Atom).